Eliminate melting ice cubes forever with reusable ice cubes! 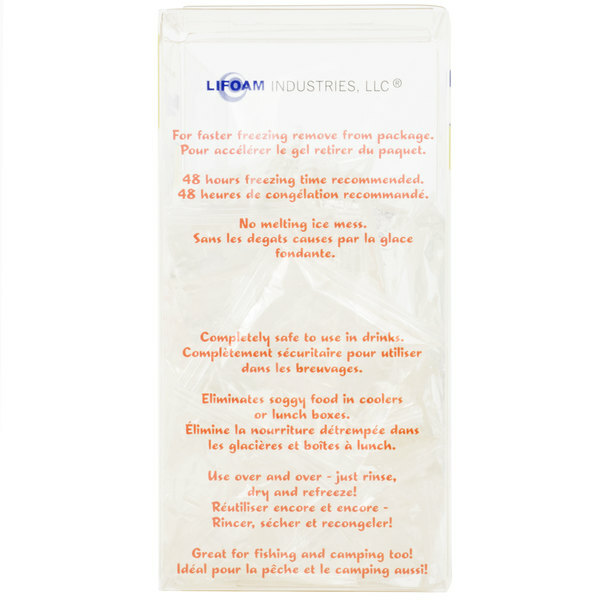 These refreezable 2" square ice cubes are ideal for use in food pan carriers, and a variety of cooler styles. 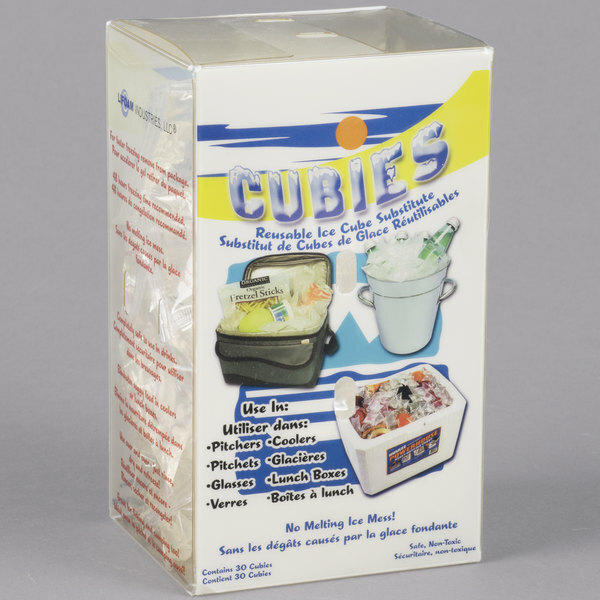 These multi-purpose cubes are even safe to use in pitchers! They freeze fast and last longer than regular ice cubes so that your food and beverages stay cold for longer periods of time. 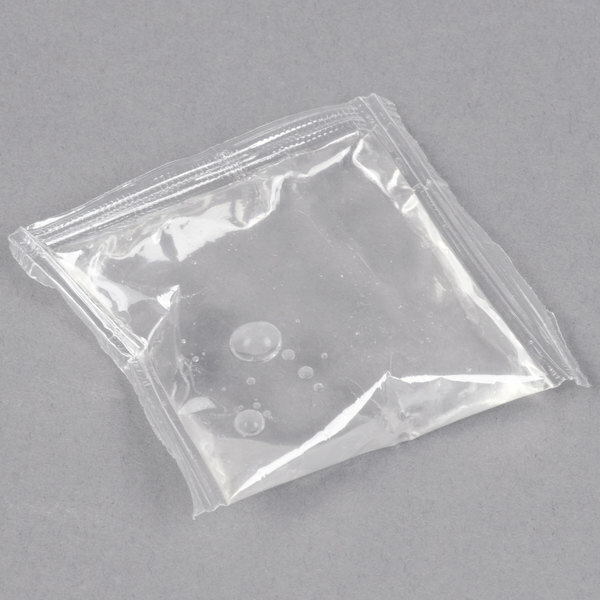 Plus, because they're sealed, you won't have to worry about all of your most popular beverages becoming diluted! 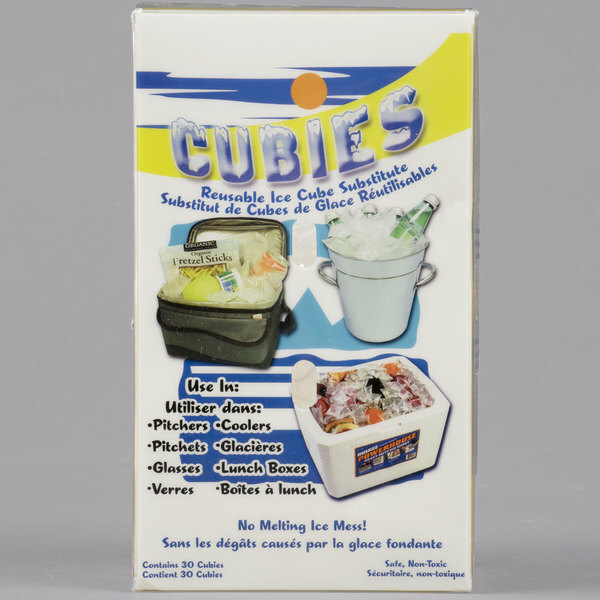 These cubes have a recommended freezing time of 48 hours when left in the box, but for faster freezing, simply remove the cubes and store them in a sanitary location of your freezer. Use these reusable ice cubes over and over again; simply wash, dry, and refreeze! 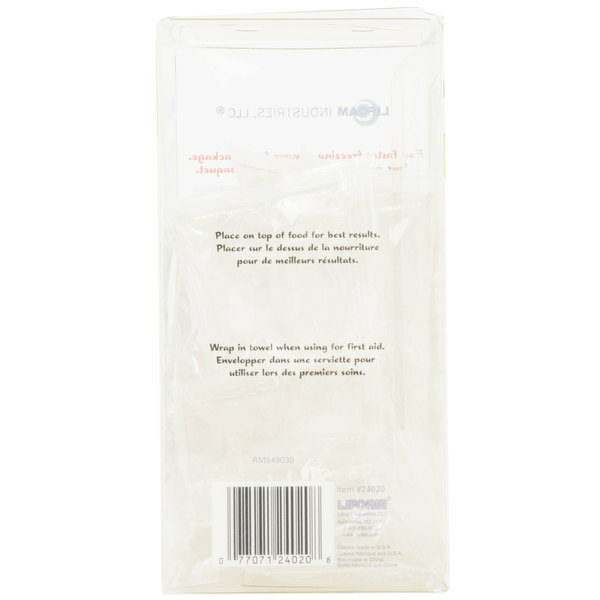 Refreezable Ice Pack 10 1/2" x 7 3/4"
Hot or Cold Pack - 5 3/4" x 7 1/2" x 1 1/4"
These reusable ice cubes are so useful. Everyone that sees them in action wants their own. So useful! I use these in cold box set ups to keep food safe. I use them in ice drinks without the mess of dumping melted ice. They stay cold for a really long time. I have already purchased more. These ice cubes are a handy item to keep in the freezer. They can be put around a casserole in a fabric cooler and they keep the item cool. These reuseable ice cubes are an amazing way to make sure that you have ice on hand without having to pay for it every time. 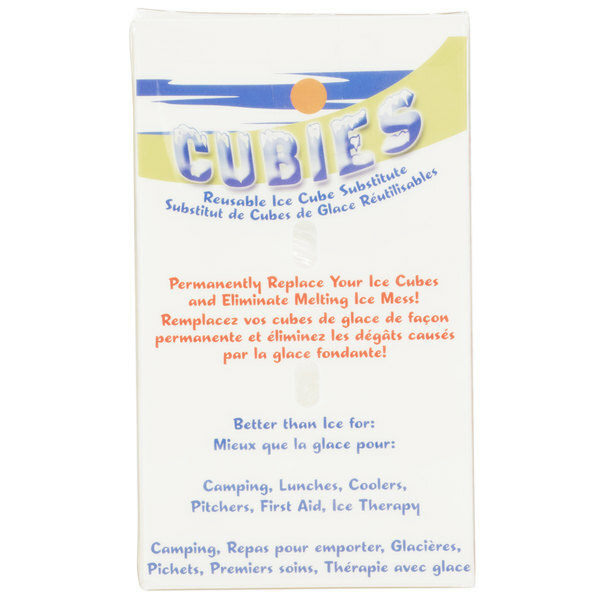 I LOVE "Cubies" hadn't seen 'em since I was a kid, I loved these things because I usually order things "with no ice" cause I hate watered down drinks, now I don't have to worry about that anymore. We have a beverage business and frequently do events and festivals. These reusable ice packs keep our drinks (in dispensers) cold without watering them down. People are always interested in them and think that it is clever to use them in place of ice. Great ice cubes for any use, they can be washed too, nice quality, and keeps things cold with no water leaking everywhere jut buy and forget. Great way to keep ice on hand without buying it every time or having a hard to maintain ice maker at your establishment. I'd recommend buying several of these because of how cheap they are! This is my new ice replacement. I can put it in any drink or anything I would like to be/stay cold. I accidentally left a frozen one on the counter and noticed it about an hour later and it was still half frozen with no water on the counter. Love, love, love these! We use them to keep desserts cold at the farmers markets, so much easier than ice & at a very good price! We make homemade lemonade type drinks in the summer and keep them in a beverage dispenser at the bar. These ice cubes keep the juice cold without diluting it. 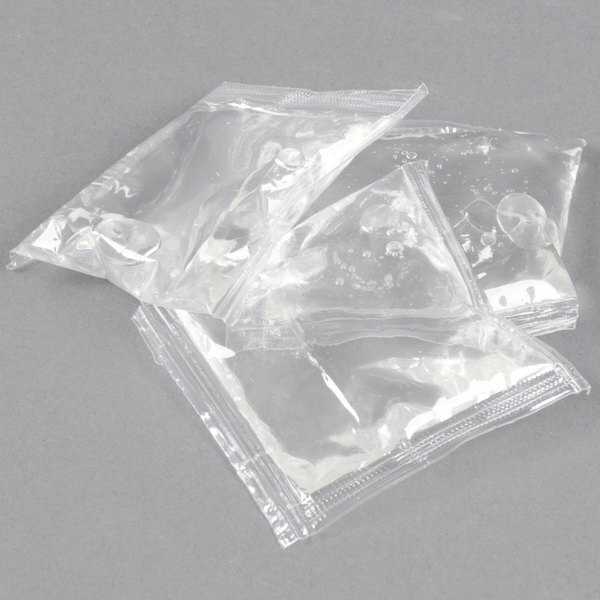 These small packs are terrific for use in coolers for trips or the beach. They fit around food and drinks easily and don't melt, leaving everything soaked. 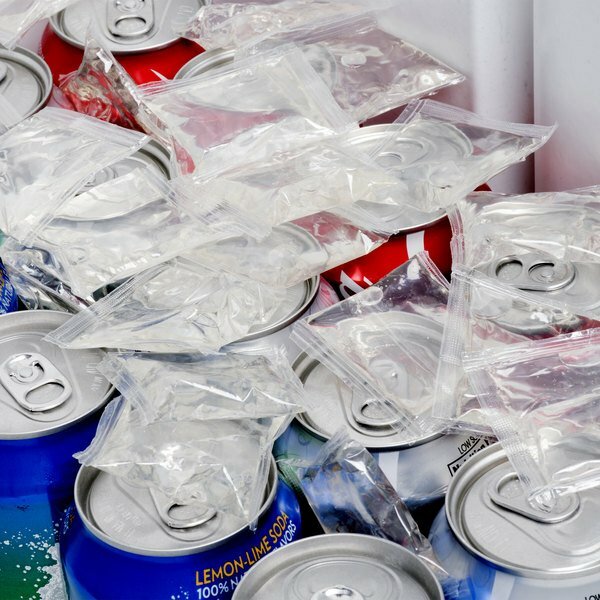 Really good sustainable solution to ice. Great reusable freezer packs that fit nicely into our Igloo and Yeti coolers. This case comes with many of the packs, but it is a plus as there are plenty of them. They are easy to puncture and will be glad you have the extra. Worth the money. We used these instead of ice to keep condiments cold, great alternative to ice if you don't want to keep buying ice! They work great and stay cold. I operate a mobile food cart where I sell pop. The reusable ice cubes are working great and saving me money everyday. It is also easy to wipe my cooler down at night. These reusable ice cubes are great for putting in a cooler to bring drinks on a delivery order. My customers are so grateful when their liters of soda are chilled already. These do a great job of cooling drinks without diluting them with more water from melted ice. They have held up well to standard use; none have popped. I could see the plastic staining if you used them in certain liquids, but none have discolored so far. 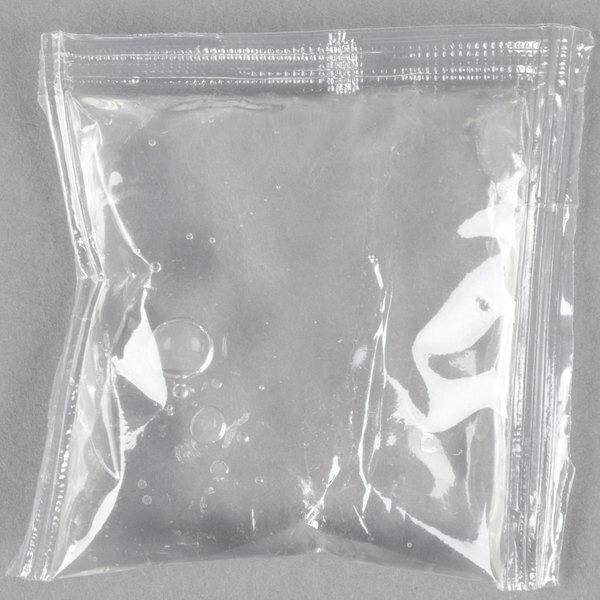 Clearly not meant to be served in beverages--who wants a mouth full of plastic? No more water; no more mess; these hold up very well and can be used directly in drinks without causing them to water down. You can add to pitchers if you are at a remote location. Awesome product. Just wash, freeze and reuse. These are nice to use for food delivery services. You dont have to worry about constantly repacking your cooler with ice cubes. just use and re-use these! These reusable ice cubes are perfect for keeping the milk cool in the cafeteria. When used, its just put back in the freezer and taken out again. Finally, I found a good reusable Ice Cubes. I used them when I make cold salad and looks so nice to use. I definitely will order again. Every customer loves our display at our farmers markets- we get equally as many comments about how neat these reusable ice cubes are as how great our products taste. Keeps all products cold and clean, no dripping or bleeding product labels . Highly recommended.